This entry was posted in crochet and tagged babies blanket, baby blanket, blanket, chain stitch frill, crochet, heart, hearts, peter pan collar. Bookmark the permalink. 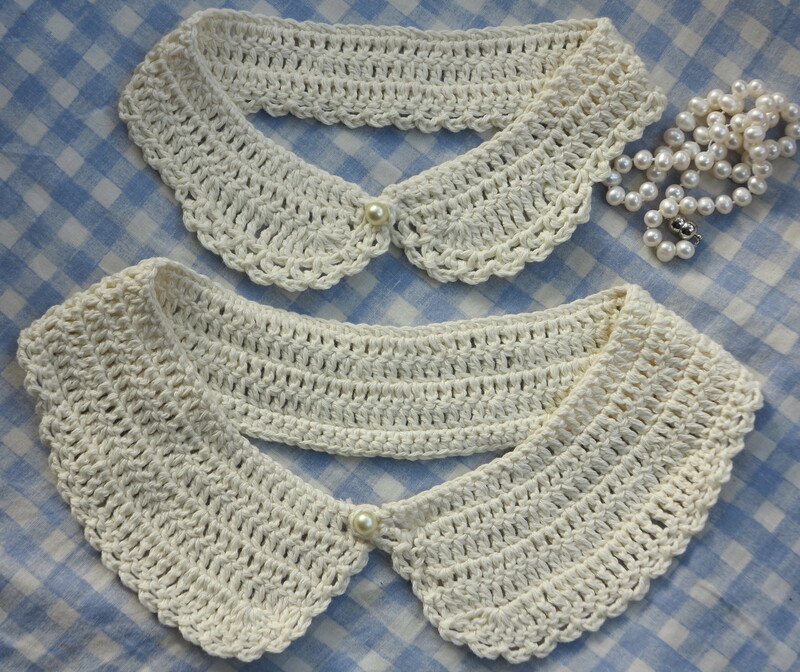 I’m loving these crocheted collars at the moment. I’m making one for my daughter right now. You did really well tweaking the pattern, I love them. Beautifully done! I love the tea cozy! 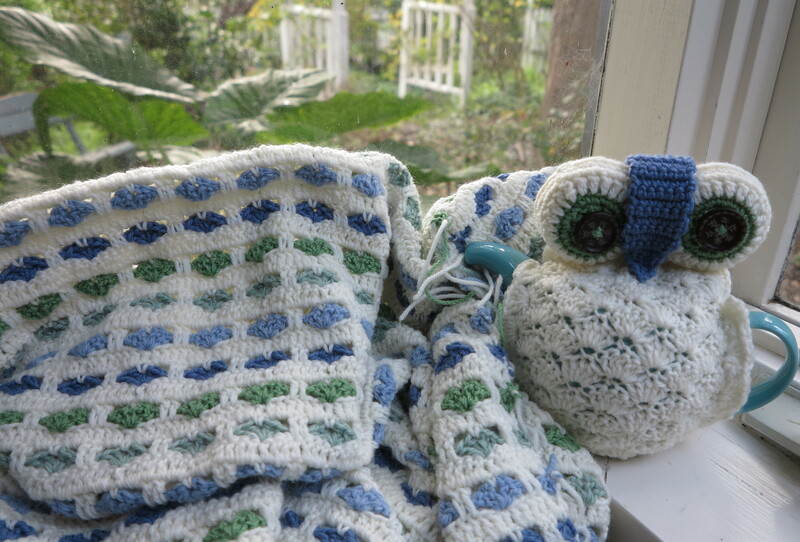 Love the blanket, and ditto allgoodthings – love love love the owl cozy!!! Thank you for you kind words Angel! I’m sorry I don’t have a pattern for the owl tea cosy, as I just sort of made it up as I went. Patterns aren’t really my thing…winging it is! And I’m afraid I don’t know of anyone that needs someone to help crochet their orders. when you do the basic baby blanket how many chains do you start with? Thanks! love your blanket! 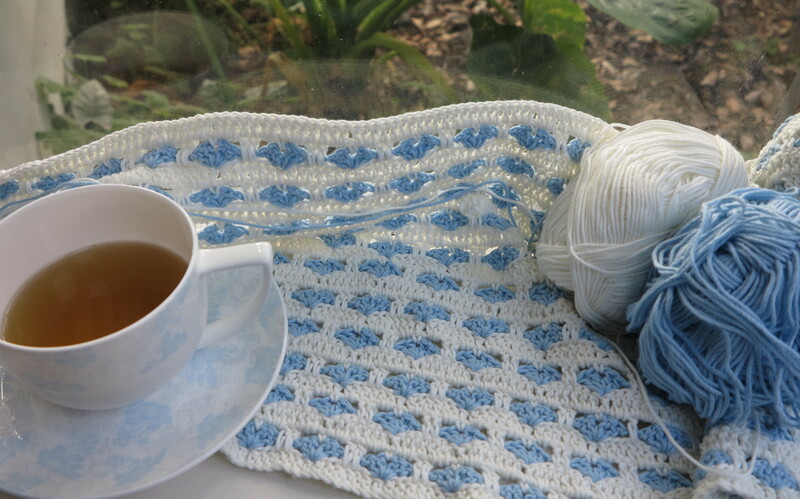 Could someone tell me how to crochet that owl tea pot cover?